Nothing but bad news about Turkey. 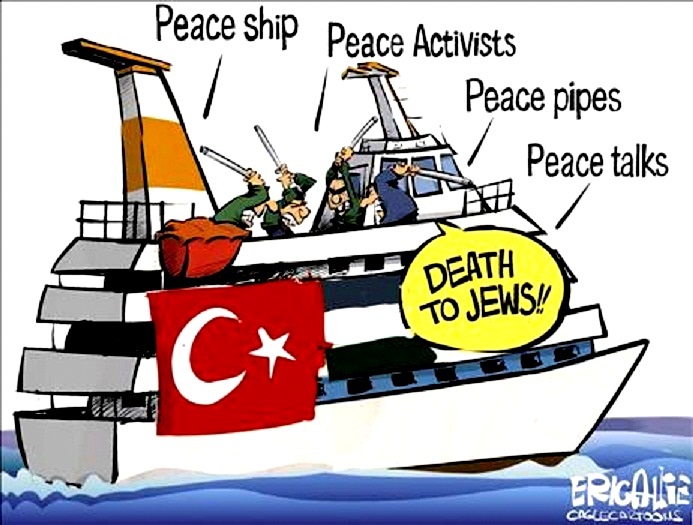 Turkey has become a principal financial hub for terrorists under the leadership of Prime Minister Recep Tayyip Erdogan, whose government has helped Iran skirt sanctions, supported jihadi groups in Syria, and provided financial backing to Hamas, according to a new report by the Foundation for Defense of Democracies (FDD). Turkey, a key U.S. ally, “has turned a blind eye” to terror financing and is potentially on the verge of crossing the line to becoming an official state sponsor of terrorism, according to the Friday report, which cites the Erdogan government’s close ties to some of the world’s top terror organizations and operatives. The report comes just a day after 84 U.S. lawmakers and former government officials urged President Barack Obama to confront Erdogan over his harsh repression of political opponents. As Turkey’s support for terrorism expands, the Obama administration has remained silent out of fear of offending Erdogan, whom the White House considers a strategic asset, according to the report authored by FDD’s Jonathan Schanzer, a former terrorism finance analyst at the U.S. Treasury Department. The Obama administration “has remained on the sidelines, expressing relatively mild concern about the crackdowns on law enforcement officials and the jailing of journalists, while electing not to mention terrorism finance issues publicly,” the report states.